As we continue reading the third chapter of Numbers, we see that the only children listed are those of Aaron–and not those of Moshe. So why does G-d say that these are the offspring of Aaron and Moshe? This question caught Rashi’s heart. 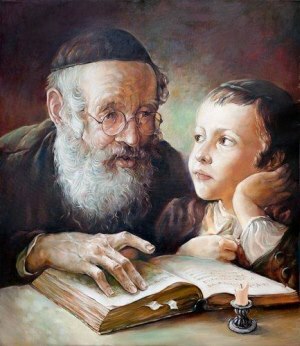 In his commentary, Rashi teaches that the sons of Aaron are called the sons of Moshe because Moshe taught them Torah, and for anyone who teaches a child or student Torah, it is as if they also had given birth to that child for they are participating in the eternal life of his or her soul. Benny’s grandpa makes the BEST bagels in town. 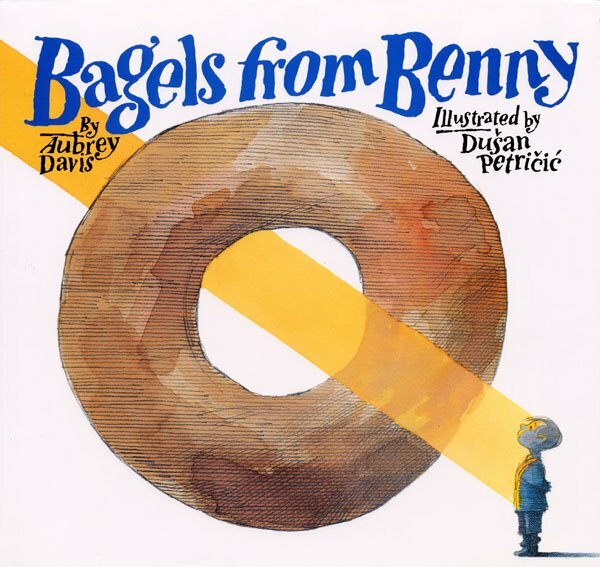 One morning while helping his grandpa in the bakery, Benny overhears a customer thank his grandpa for the bagels. His grandpa responds with, “Why thank me?” Grandpa’s response to the customer puzzles Benny. Grandpa lifted Benny onto the counter. “From the earth,” answered Benny. “And who made the earth?” “God did,” Benny replied. 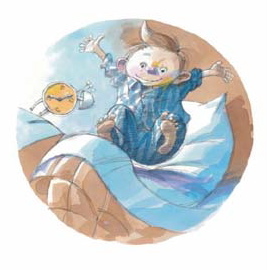 Benny takes his grandpa’s words to heart and what follows is precious. 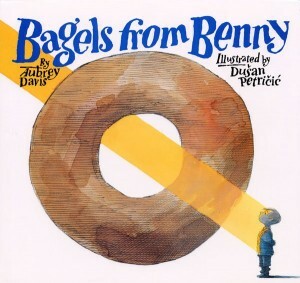 A good read is one that the reader continues going back to and learning from, and Bagels From Benny is one such book. As I mentioned above, the lesson of Tikkun Olam can be found in its pages. However, Bagels From Benny is ripe and ready for the gleaning of many other lessons, as well. If this book leaves you craving a good homemade bagel, here is a recipe that I first enjoyed 18 years ago, and one that my daughter and I have made over the years since then. *Thank you, Susan, for sharing this recipe. This recipe calls for a bread machine, but you can knead the dough the old-fashioned way: by hand. This recipe is from The Bread Machine Cookbook by Donna Rathmell German (1991). Let the bread machine knead the dough once, and then let the dough rise 20 minutes–no more, no less–while still in the machine. Divide the dough into 12 pieces and roll the pieces into a “rope,” and then into a circle by wetting the ends slightly with water and pressing them together. Place the circles on a well-greased baking sheet, cover them, and then let them rise for 15-20 minutes–and no longer. Meanwhile, bring 2 inches of water to a slight boil in a non-aluminum pan (a cast-iron pan works well). Carefully lower 3-4 bagels at a time into the water, cooking them about 30 seconds on each side. Remove the bagels, set them on a towel to soak up extra water, and sprinkle with poppy seeds, sesame seeds, or dried onion bits (if desired). Place the bagels on the greased baking sheet. Bake in a pre-heated oven at 450 degrees for 7-8 minutes. Keep a watchful eye on the bottoms of the bagels–they brown and burn quickly. Great post and thanks so very much for sharing this recipe. 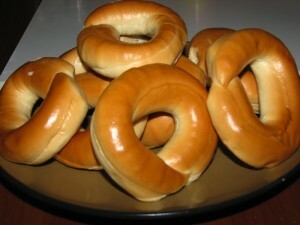 I can hardly wait to try making these bagels!